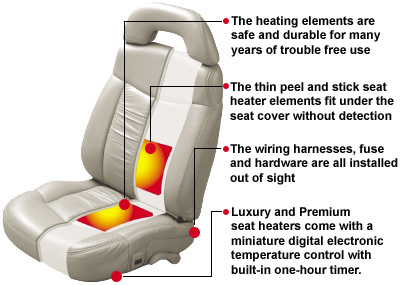 Seat heaters available for your custom automotive interior. Call for pricing on all seat heaters at 1-800-480-6033. We will need your make & model.